Bartlett is one of the most widely-grown pear varieties, but confusingly is usually known as Williams or Williams Bon Chretien in Europe. The dual names reflect its fascinating history. It was discovered in the town of Aldermaston, England, in the 18th century, and came to the attention of a nurseryman, Mr Williams of Turnham Green - who recognised the variety had great potential and named it after himself. 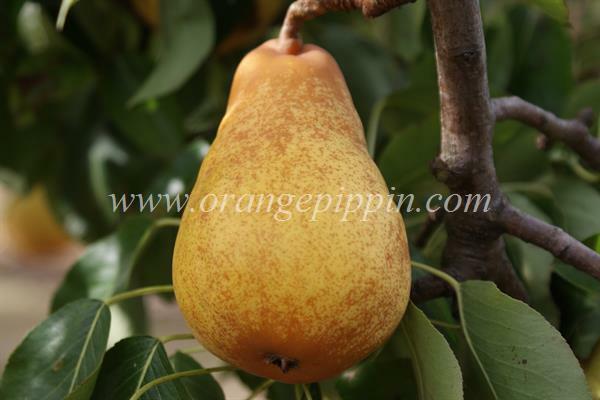 Samples were soon sent to the USA where, unlike many European pears of the era, it appeared very well suited to the climate and quickly became an important commercial variety. However the variety name became lost so a Boston nurseryman who was involved in propagating it, Bartlett, named it after himself. Bartlett / Williams is not only very widely-grown, but has been involved in many breeding programmes and a huge number of subsequent varieties can claim it as an ancestor.